Project Mercury, from Rexasoft Games, is a linear actioner starring a laser-wielding commando in search of her missing squadmates in a world filled with hostile creatures known as Mercury. The game is divided between several gameplay styles, mostly consisting of on-foot or forced-scrolling hoverbike sequences, with some ascent- and descent-based areas mixed in across eight levels and nine boss encounters. 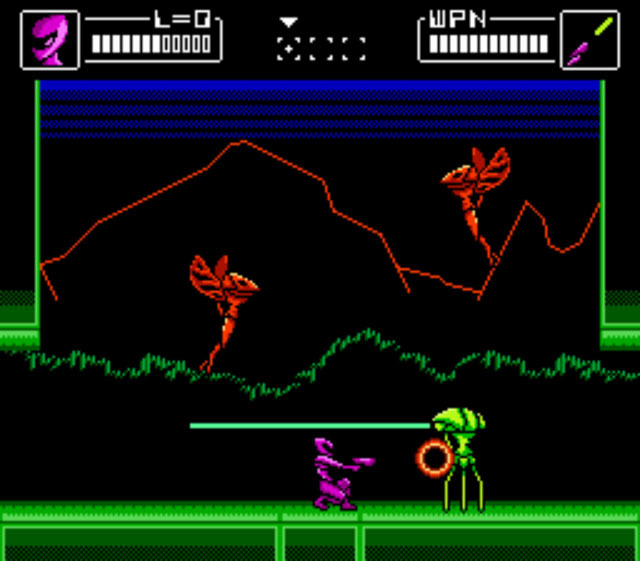 The player begins the game with a weak laser and acquires two new weapons along the way as she faces off against ground-based and flying enemies. The game is modeled after DOS-era computer games with its 256x224 resolution, 5-channel chiptune soundtrack, miniscule color palette, and 4-color sprites.